"The Best Parent Annoyer Ever"
Yes, that's what Adam (12) and Kaden (11) made this week and what they are attempting to torture me with in the image above. While doing so they learned about sound vibrations and sound amplification. Truth be told, when they came up to my "office" (sewing room/bedroom) with The Best Parent Annoyer Ever I was AMAZED, not annoyed. It's really, really neat and makes a sound kind of similar to a barking seal. I'd never seen anything like it. The boys have also melted chocolate to learn about the speed of sound, made rock candy to learn about crystals, made a pea shooter, attempted to make grapes glow in the microwave, tested their rock collections to see if they had any asteroid particles, and so much more. All these experiments, and hundreds more, can be found at Supercharged Science, an e-science site where we were asked to review the e-Science Premium Membership. In all honesty, the boys initially balked at this review project. They do science already and it's a pretty exhausting class for them. Another science class on top of the schoolwork they already had ... "no, thanks." I told them to find two experiements they wanted to do. They started with the chocolate and followed that with the rock candy. That's all it took, they were (and continue to be) hooked (the candy theme probably didn't hurt). Now, when they're supposed to be doing schoolwork I'm often telling them to stop doing science and get back to work. Supercharged Science was developed and is executed by Aurora Lipper. She's a rocket scientist. Seriously! THAT got the boys' attention. Supercharged Science is divided into over 25 subjects, everything from matter to science fair projects to astrophysics to biology. The sections can be viewed by topic, and also by grade. Each topic can be taught as in individual unit as a students complete science curriculum, or done randomly based on interest, as we did (because they already have a science class). 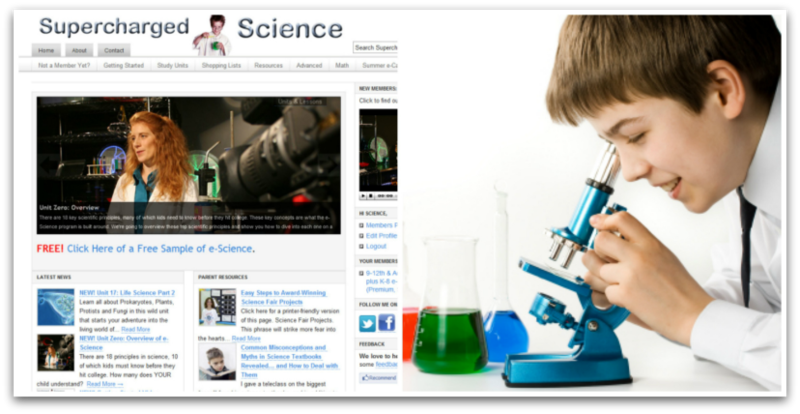 There are experiment and lesson videos all over the site. In each video the experiment is explained, the students are told what *should* happen, and why it happens. The boys learned why snowflakes are six-sided when they did a simple experiment with pennies and a ruler (it has to do with the way hydrogen molecules bond). Using table grapes, a magnet, and a few other simple supplies the boys learned about diamagnetic properties (diamagnetic: repelled by both poles of a magnet). 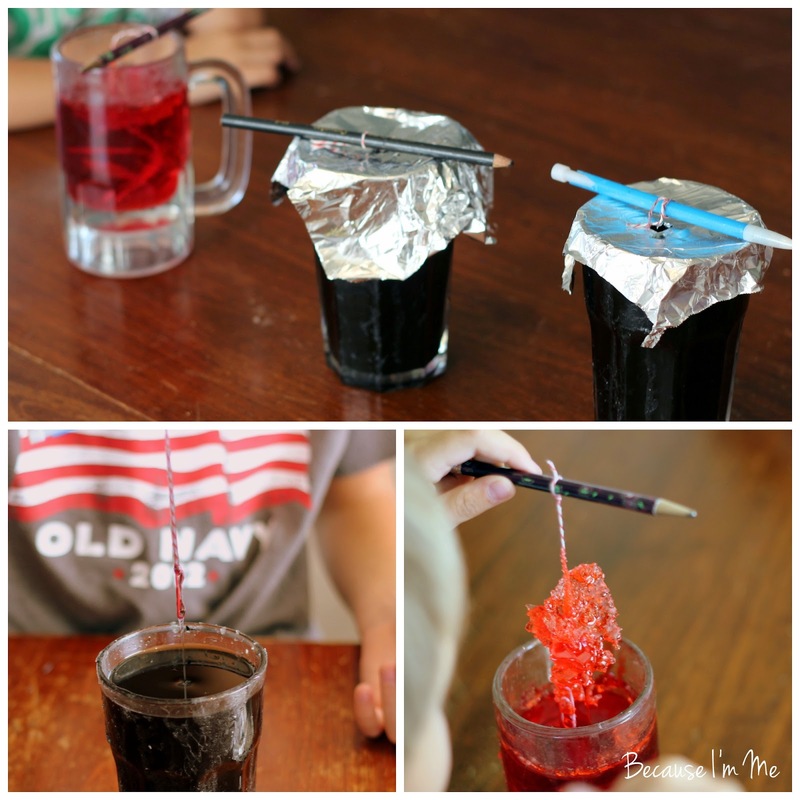 The needed supplies for the experiments are mostly ones found at home, making the experiments easy to do and very accessible. The boys have done close to 20 experiments and the only thing I've had to buy is chocolate bars. Having the videos allowed the boys to clearly understand what to do in the experiment, and to understand well the results. Aurora Lipper, the site developer and teacher, is easy for the children to access. Each lesson and experiment has a comment section at the bottom, and she answers the questions kids ask. She also offers a weekly live session where she'll answer questions and discuss information in the various sections. It's very obvious, watching the videos and exploring the site, that Aurora is very passionate both about science and with teaching children, and that she knows what she's talking about (did I mention that she's a rocket scientist?!). Aurora teaches the classes to the kids level. They clearly understand what she's saying and have no problem grasping what she is teaching them. There is also an new area on the site focusing on Boy Scout Merit Badges. The Merit Badge section at Supercharged Science is only available in preview mode (ie - free!) right now, in an effort to get more user feedback, and offers five badges - Astronomy, Electricity, Electronics, Robotics, and Space Exploration, and have quite a few others in development. I can't wait to try these out with our troop and will write a follow-up post on the blog with more about this area of the website as I get more information. If you use Supercharged Science with your troop please share with me what you think of it. Adam (12) said, "You can do a bunch of different lessons to tell you what you are going to learn. After the lessons you can move on to the experiment pages that test what you've learned and teach you more about the topic. All the experiments are really run and interesting, and you learn a lot." Kaden (11) said, "It's fun. You get to do experiments and see reactions. You get to melt chocolate, find the hot spots, and eat it. You get to do a lot that is fun." Supercharged Science is geared towards kids from Kindergarten up through 12th grade and the program is aligned with National Science and STEM standards. Right now you can have access with this link to Supercharged Science for just $1, or can access some sample experiments for free by clicking here. Standard Supercharged Science e-Science Premium Membership rates are $37 per month for access to the material geared towards grades K through 8, and $57 per month for access to all material for grades K through 12. If you give Supercharged Science a try let me know what you think! Click the link below for more reviews of this program.